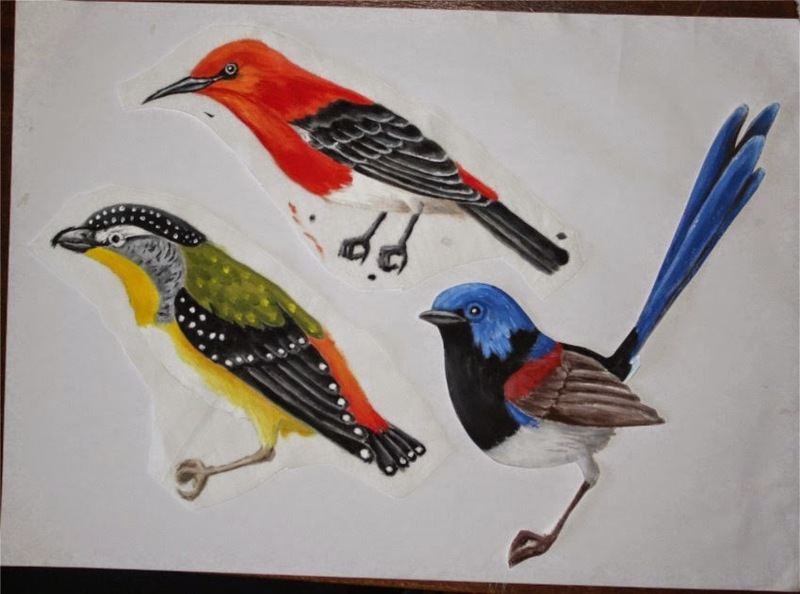 I am currently working on some new Aussie bird patterns, and have so far painted up a Variegated Wren, a Scarlet Honeyeater and a Spotted Pardolote. 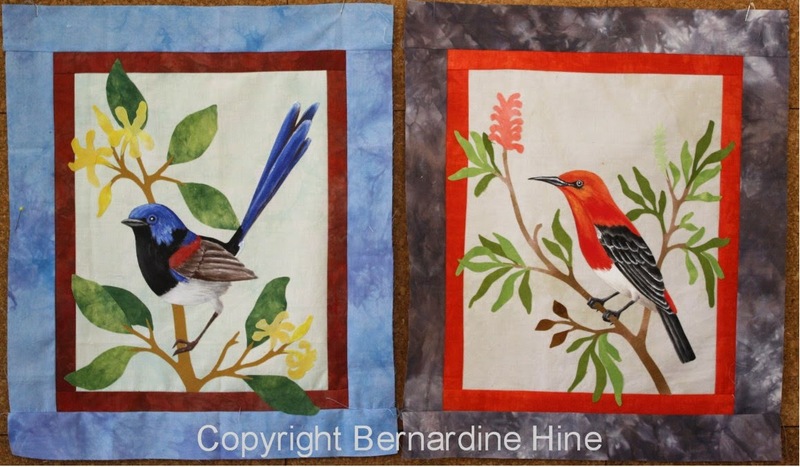 Two of them have been placed on their perches ready for quilting, just the Pardolote to go. I'm thinking about some more birds to do, do you have a favourite aussie bird you'd like to see a pattern for?